Cruises to Canada and New England are seasonal and ranges from short 5 Night Summer getaways to longer 10 night Foliage Cruises in the Fall. 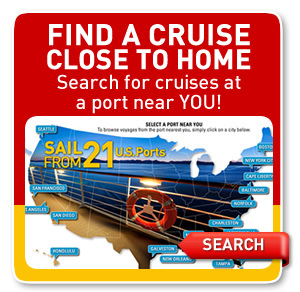 These cruises typically depart from New York or Boston and include visits to most of these ports depending upon the ship and sailing date: Bar Harbor, Maine, New Brunswick, St. Johns, Newfoundland, Montreal, Quebec, Halifax, Nova Scotia. St. John's is the capital of the Canadian province of Newfoundland. It is the oldest city in North America. One of the tours possible in Newfoundland is "Witless Bay Ecological Reserve, Bird Island Adventure". It is a six hour tour that includes a lobster lunch with all the trimmings. Halifax is the capital of the Canadian province of Nova Scotia. It is the largest city in Canada's Atlantic provinces. It was founded in 1749 by Honorable Edward Cornwallis. The city retains many historic buildings such as the Naval Dockyard and St. Paul's Church. 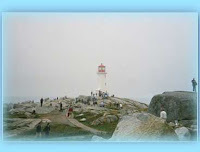 One possible tour in Nova Scotia is "Peggy's Cove & Lobster Boil". It is a 5 1/2 hour tour that includes a lobster lunch with all the trimmings. You can definitely get your fill of lobster in this part of Canada. 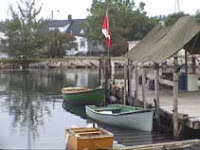 Summer or Fall, Canada and New England is a pleasant alternative to cruising in the Caribbean. The sun is starting to rise. 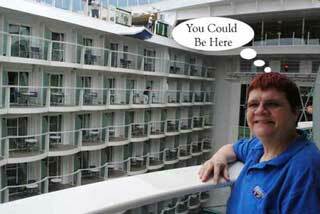 You are standing on the bow of your cruise ship along with many of your fellow passengers. There's excitement in the air as the ship approaches the locks. You yawn (did I mention it's 5 am?). The ship is about to transit the Panama Canal. This is a long process; it will take about 9 hours to complete the full transit. Even though you have an aft balcony cabin, you wanted to watch from the bow, just like many other passengers. Everyone has carved out their own space along the railings, and things are orderly. Another ship is going through the locks at the same time. This is perfect since you'll be able to watch that ship as it completes its journey. Five days ago, you sailed out of the Port of Miami for a 14 Night Western Panama Canal cruise. There were several choices when you booked your cruise, but you opted for the full transit which would go from Miami to San Diego. You've already completed three refreshing sea days and a stop in Aruba, so you are ready for the highlight of the cruise. Since we were transiting the Canal from the Atlantic to the Pacific we entered the channel from Limon Bay at the Cristobal breakwater. This sea-level section of the Canal channel on the Atlantic side is 6 and a half miles long and 500 feet wide and runs through a mangrove swamp that is only a few feet above sea level in most places. Our ship was lowered 85 feet in a continuous flight of three steps at Gatun Locks. Each lock chamber is 110 feet wide and 1,000 feet long. The length of Gatun Locks, including approach walls, is one and a half miles. Besides the locks themselves, the mules which pull the vessel through the locks, are probably the most interesting thing you see as the ship transits the canal. Since most cruise ships are PANAMAX, you'll be able to get very close to the mules, perhaps even being able to talk to one of the drivers. After going through Gatun Locks, we entered Gatun Lake where we stayed until after lunch time. A Pacific-bound ship enters Pedro Miguel Locks at the south end of Gaillard Cut where it is lowered 31 feet in one step to Miraflores Lake, a small artifial body of water a mile wide that separates the two sets of Pacific locks. The length of Pedro Miguel Locks if 5/6 of a mile. Shortly before 4 PM, we were lowered the remaining two steps to sea level at Miraflores Locks, which are slightly over a mile in length. The lock gates at Miraflores are the tallest of any in the system because of the extreme tidal variation in the Pacific Ocean. Be sure to bring lots of sunscreen with you because the sun is extremely hot. The crew made several announcements throughout the day. Those that didn't heed the warning, looked like lobsters at the end of the day. After completing our transit, our ship tendered near Fuerte Amador, Panama where passengers that wanted to go ashore were able to disembark. We would continue our journey westward around 11:30 PM. As I mentioned earlier, there are several choices when considering a visit to the Panama Canal. If you don't have the time for a full transit, there are partial transits and some cruises which make a stop at a port near Miraflores Locks (Colon, Panama for example) so that you can visit the information center, see the locks and perhaps take a railway journey between two oceans. The Panama Canal, which took 10 years to complete (1904-1914), is the 8th Wonder of the World and definitely should be on your must-see list. What are you Spending Your Stimulus Check on? It's May 2008 and you know what that means, it's tax stimulus time. This gift from the government is being provided to get consumers spending. A recent Goldman Sacks report showed that stocks like Royal Caribbean are sure to benefit from these dollars as consumers seek out their next vacation or upgrade from an ocean view stateroom to a private balcony with their new found monies. There are a lot of places to spend the stimulus monies like on a new sofa, paying down some credit card bills, doing some home repairs or getting away on an exciting cruise vacation. But how about spending it on all or at least some of those things? We have some amazing getaways that won't deplete your whole stimulus check. Getaway with the whole family this summer for as little as $32 a person, a day (for a family of four). Norwegian Cruise Line just announced they are moving a ship to the Caribbean this summer that will sail 3- and 4-night cruises from Miami and for a limited time, Kids Sail Free. 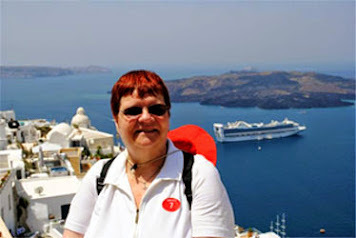 There are a number of other ships and itineraries to choose from for under $50 per person, per day. Sail a 4-night Caribbean cruise on the Carnival Imagination from Miami or sail a 5-night Bahamas cruise on the Carnival Fascination from Jacksonville. 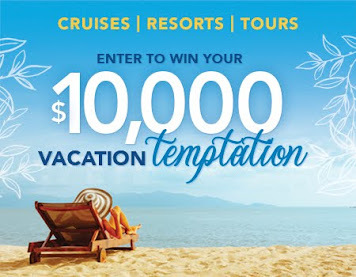 For under $60 per day you can sail a 4-night Baja Mexico cruise on the Carnival Paradise from Los Angeles, a 4-night Bahamas cruise on the Carnival Sensation from Port Canaveral, a 4- or 5-night Western Caribbean on the Carnival Holiday from Mobile, a 5-night Baja Mexico cruise on the Carnival Elation from San Diego, a 5-night Western Caribbean cruise on the Carnival Fantasy from New Orleans, or a 7-night Florida & Bahamas cruise on the Norwegian Majesty from Charleston. 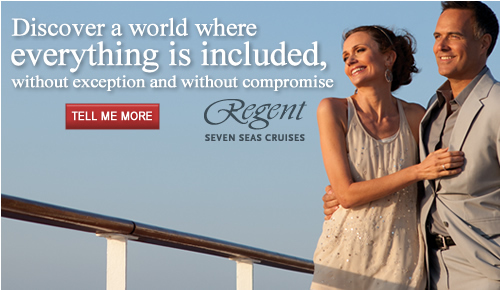 How about sailing in a Balcony stateroom for under $100 per person, per day? You can on a number of 7-night Caribbean cruises on the Carnival Triumph, Liberty or Valor, on Carnival Spirit's 8-night Mexican Riviera cruises or on Royal Caribbean's Navigator of the Seas 12-night transatlantic cruise. There are a ton of deals out there and your Cruise Specialist is just the person to find them for you. So when your stimulus check arrives, go ahead and use some of it to pay down your mortgage, or make a car payment, but be sure to keep just a little to spend on a holiday for yourself and your family. This might be the only time the government pays for your vacation. That could be you in the picture above. I'll be happy to help make your dream a reality. ALOHA!! Close your eyes for a moment and let the peace and warmth of this greeting consume your inner soul. Let it wisk you away to the land where tropical breezes blow, sunsets paint the evening skies, and volcanoes add color to the night as the glowing lava journeys to the sea. Keep your eyes closed and listen to the waves pounding against the shore, the wind blowing through palm trees, the distant beat of drums calling you to this island paradise. Open your eyes and step from the ship's gangway into a land where warmth, friendliness, hospitality, and generosity will greet you, and remain with you throughout your visit and long after you return home. A friendly native greets you with a flowered lei as you disembark the ship. ALOHA!! Welcome to Hawaii. You graciously smile, returning the greeting. ALOHA!! From this moment, your life has changed. It has been transfigured to something perhaps beyond your understanding. You feel very peaceful. All your worries have been carried away by the gentle trade winds. The greeting you have just experienced is one of many that you will receive throughout your visit. 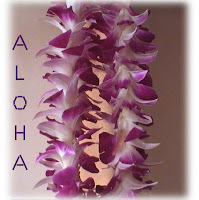 The people of Hawaii are very friendly and want to share with you the spirit of Aloha. 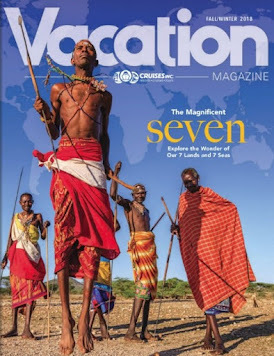 They also want to share their culture with you so that you understand their way of life and the deep rooted traditions that guide them on their journey. It is time for your first exploration. You have heard about the lava flows that have shaped this part of the world. Your tour takes you to Volcanoes National Park to see the facinating world of active volcanoism. Later that evening the captain of your ship will pass the same volcano as your journey to your next port of call. The glowing lava moves so slowly as it heads towards the sea. You unwind in your cabin and reflect on your first day in Hawaii. 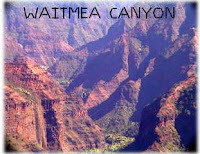 Tomorrow, you will have the opportunity to visit Waimea Canyon, known as the Grand Canyon of the Pacific. It is hard to imagine what lies ahead as you continue to explore Hawaii. It is time to rest now, since you have another marvelous day in paradise tomorrow. Each island has something unique to offer. A cruise offers the opportunity to explore many of the different facets of Hawaii. We have just scratched the surface of this marvelous destination. 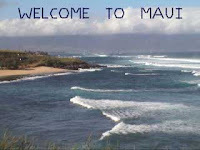 In future articles, I'll revisit Hawaii and take a closer look at the various attractions. Aloha!! Mexico is not just sunny beaches and great water sports. Mexico's Spanish colonial roots fused with her turbulent Indian ancestry have engendered a rich cultural history. Fascinating archaeological ruins, extraordinary works of art, colonial architecture, native handicrafts and wonderful folklore will capture your imagination. Combine all this with fiery sunsets, lots of fun and romantic evenings, and you have the makings of a spectacular cruise vacation. 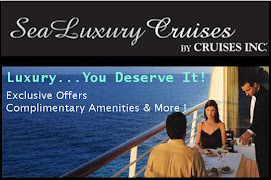 There are three types of cruise to Mexico, each offering a different cruise experience. Mexico Baja : These are short 3 and 4 day cruises departing year-round from Los Angeles, California to Ensenada, Mexico and Catalina. Very popular with the West Coast crowd as fun, quick and relaxing getaway. Mexico Round-Trip (Mexican Riviera) : These are typically 7-night cruises departing year-round from Los Angeles, and seasonally from San Diego and San Francisco; however, they travel further South than the shorter Mexican Baja Cruises. A Mexico Round-Trip cruise often includes, Mazatlan, Cabo San Lucas, and Puerto Vallarta before returning to Los Angeles. Some 8, 10 and 11 night cruises to the Mexico Round-Trip are also offered seasonally. Panama Canal -Full Transit cruises often offer stops in Mexico such as Huatulco, Acapulco, Cabo San Lucas. Acapulco is famous for the cliff divers, while Cabo San Lucas is famous for Land's End (pictured above). The scnery is some of the best in the world. In April, many cruise lines offer a one time one-way repositioning Mexico Round-Trip Cruise from Acapulco to Los Angeles or San Francisco as their travel enroute to Vancouver for the Alaska season. They do this again in the reverse at the end of the Alaska Season. Caribbean - Western : Many 4, 5 and 7 night Caribbean cruises make stops in Cancun and Cozumel, Mexico, which is on the opposite side of the country when compared to the Mexican Riviera. Click here to learn more about the Western Caribbean. In Mexico you'll find world-glass golfing, horseback riding, bounteous sport fishing, and sensational diving spots. Dramatic scenery abounds. Shopping is blissful. The American dollar goes a long way, and everything, from regional leather goods and handcrafted silver to designer imports is a bargain. From the ancient ruins to modern day cities, there is something for everyone in Mexico. I'll take a closer look at some of our Mexican cruises in future articles. Continuing our quest for a new cruise destination beyond the Caribbean, we next turn our attention to Bermuda. While often thought of as part of the Caribbean, Bermuda is actually located 650 miles east of Cape Hatteras, North Carolina, 774 miles from New York City and 3,000 miles from London. The 21-mile-long island is two miles at its maximum width. Bermuda has a year-round mild semitropical climate, with temperatures ranging from 68 to 84 degrees and relative humidity from 71 to 84 percent. As the climate is ideal year-round for sports, active travelers can enjoy some of the best wreck diving in the world, scuba diving, over 80 tennis courts and top-rated golf courses. Bermuda also has yacht-racing, museums, a top-rated aquarium, cricket and of course, its famous pink sand beaches. Wherever you are in Bermuda, you are never more than a mile from a beach. Bermuda's many forts help to trace its interesting maritime history. All British built, they give visitors an idea how important Bermuda was to the British government for centuries, as well as to its allies, the United States and France, during World War I and II. Most of these forts have been restored and offer magnificent views. Because of these many attributes, Bermuda has also become a popular cruise destination, with major lines visiting here from April to October, when temperatures are in the 70s and 80s. The three main ports-of-call are Hamilton, St. George and King's Wharf in the West End. Cruises to Bermuda typically originate in New York or Boston and some are part of Transatlantic crossings. Surrounded by turquoise water, Bermuda beaches are famous for their pink sand. This unique colored sand is from finely pulverized remains of calcium carbonate shells, plus skeletons of invertebrates, including clams, corals and forams. This rare mixture offers another amazing feature: the sand does not get hot, even in the summer! Bermuda boasts over 150 restaurants, with something to please every palate and for every price range. Hamilton is noted for its selection of international cuisine, including Caribbean, Indian, Italian, Greek, Chinese, English, French and Mexican. Shoppers can find everything from sophisticated department stores to exclusive boutiques, as well as antique stores and art galleries in Bermuda, with a wide selection of both goods and prices. Bargains are available in Hamilton and St. George's as well as other parts of the Island. The Royal Naval Dockyard in the West End offers extensive shopping facilities. Bermuda has established itself as one of the world's top dive destinations by offering ideal conditions. Aquatic adventurers can immerse themselves in summer water temperatures averaging 83 F, considered to be the clearest water in the Western Atlantic and the world's most northernmost coral reefs. The ocean floor is covered with hundreds of wrecks dating from the 15th to the 20th century, earning it the title "Wreck Capital of the Atlantic." Bermuda is a unique island offering visitors beautiful beaches, dive sites, fine dining, history and much more in a relaxed, genteel atmosphere with a distinct British flavor. There is something for everyone in Bermuda. 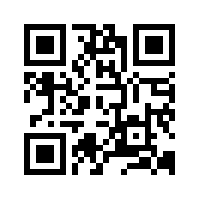 It is a great alternative to a Caribbean Cruise Vacation. In future articles, we'll take a closer look at a seven day cruise to Bermuda. I hope by now you are starting to realize that there are fabulous destinations to cruise to beyond the Caribbean.